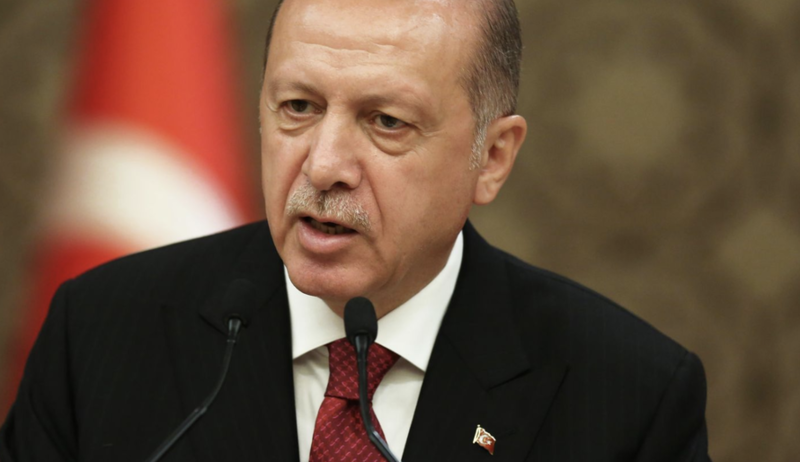 ...the Turkish parliament on Wednesday endowed Turkish President Recep Tayyip Erdogan with untrammeled emergency authority to intervene when the country's economy is under threat, Bloomberg reported. Parliament voted late Wednesday to authorize Erdogan to take all the necessary measures in case of a “negative development” that could spread across the entire financial system. It also approved the formation of the Financial Stability and Development Committee that will work to coordinate efforts against risks to financial stability and security, according to the law, set to go into effect following the president’s approval. According to the new law, "the president is authorized and responsible for implementation of all measures beyond the powers" of members of the Financial Stability and Development Committee, which was also created by the law, and will be overseen by Turkey's Treasury and Finance ministries. Per BBG, the measure is intended to strengthen Turkey's defenses against another downturn, like the capital flight that sparked a more than 40% devaluation in the lira last year. Though the lira has recovered off its lows, anxieties remain about Turkey's foreign-currency denominated debt, which is creating problems in Turkey's corporate sector - particularly among construction firms. 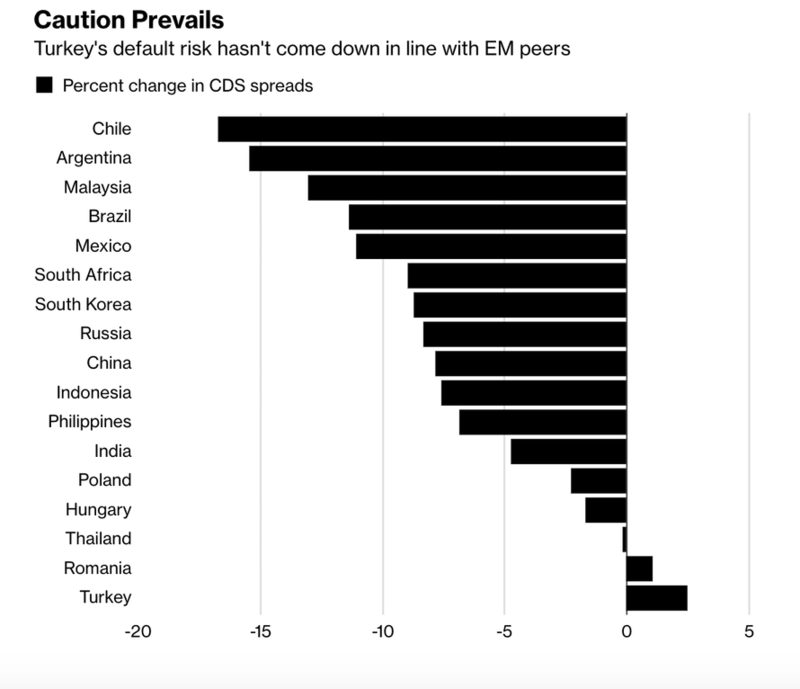 CDS spreads still indicate that default risk remains a concern for investors in Turkish assets. Erdogan is notorious for slamming the central bank's high interest rates, sometimes using threatening language. More practically, the powers will allow Erdogan to impose financial stability ahead of upcoming municipal elections, as the president, who was granted sweeping new powers after a constitutional referendum nearly two years ago, seeks to further consolidate his power following the end of a post-coup-attempt state of emergency that saw Turkish authorities arrest tens of thousands of people on suspicions of supporting US-based cleric Fethullah Gulen. The Trump administration is reportedly considering extraditing Gulen, who is wanted on charges of treason in Turkey.